Here you'll find answers to common questions our customers ask. Start by selecting one of the links below. If you don’t see what you need, call or contact us online. How can I send my electronic file to EP-Direct? I see that most of EP-Direct's estimates are based upon a computer-ready file. What does that mean? What is the advantage of printing my project on the digital copier vs. on the offset printing press? 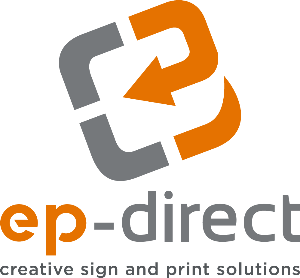 What kind of work does EP-Direct do? How can I send my electronic file to EP-Direct? Your file may be given to us on any type of media device, sent to us as an email attachment, sent to us via this website (preferred method and most secure), or put on the EP-Direct.com FTP site. If you are in one of our local service areas, our courier or customer service person can pick up your media at your office. InDesign uses the PACKAGE function. Quark uses the COLLECT FOR OUTPUT function. • Make sure your files are set with proper bleed and trim. I see that most of EP-Direct's estimates are based upon a computer-ready file. What does that mean? A computer-ready file is a electronic file that you, the customer, supplies to EP-Direct. Your computer-ready file needs to have been created in a computer application that can be sent to the appropriate printing output device. Certain applications such as Microsoft Office are fine for going direct to copiers and large format inkjet printers, but are very clumsy and do not work at all when they are sent to output devices that need to be separated into the four colors (CMYK) for full color printing. To play it safe, send a PDF file which was created in InDesign, Quark, Illustrator or Photoshop for your full color printed projects. Don't forget to size your project with a bleed (extra 1/8" on each edge) if you have graphics that extend all the way to an edge. The advantages of our digital copier (or xerographic) devices are best realized on runs of 1000 or less requiring black or color printing and where a fast turnaround is needed; this is typically more cost-effective for short runs. If collating is required, the copier can also collate as it prints. On longer runs or where multiple colors are desired, as well as when screens or halftones require a higher resolution, offset printing would be the best alternative. Even though EP-Direct uses high end printing technology to produce your project, we use good old fashioned customer service to work with you during the project. Nowadays it's refreshing to find a printer who truly pays attention. When your projects are finished on time without a hitch, you've found somebody you can trust. Services - Our high-speed printers can produce copies efficiently and economically whether you provide hard copy or bring in digital files on disk. Our state of the art color and black and white digital print production equipment allow us to deliver work quickly and efficiently. Printing Services - From one-color to full-color printing, our facility has the capability to meet your needs. From short run to long run, we can offer a solution that will be just right for you. 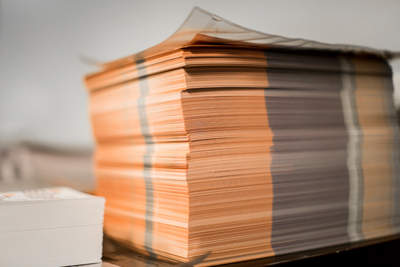 Finishing Services - We can cut, perforate, score, number, fold, collate, saddle stitch, bind, produce tabs for manuals, and just about any other bindery process you could ever need. Design Services - We utilize the latest design technology available in order to offer a full range of design services. If you need a brochure produced, we can work from your digital files you provide electronically, or design your brochure from scratch. A proof is a way of ensuring that we have set your type accurately and that everything is positioned according to your requirements. Typically, we will produce a proof which will be sent to you online or printed on paper which can be viewed in our store or delivered to you in person. On multiple color jobs, we can produce a color proof on our color output device to show how the different colors will appear on press. In short, printers and monitors produce colors in different ways, and every monitor will display colors differently. Monitors use the RGB (red, green, blue) color model, which usually supports a wider spectrum of colors. Printers use the CMYK (cyan, magenta, yellow, black) color model, which can reproduce most, but not all, of the colors in the RGB color model. Depending on the equipment used, CMYK generally matches 85–90% of the colors in the RGB model. When a color is selected from the RGB model that is out of the range of the CMYK model, the application chooses what it thinks is the closest color that will match. Programs like Adobe Photoshop will allow you to choose which color will be replaced. Others may not. Because many people are not using a color-calibrated monitor, keep in mind that the colors will not typically look the same from your monitor to our printers. For best results, use a color calibration device on your monitor and ask for a printed proof if color accuracy is crucial!